Companionship and unconditional love are two of the things seniors gain when they bring home a pet. Pets help with emotional health because they reduce anxiety and give the senior someone to talk to. They also help with physical health by forcing a senior to be more active by going for walks, tossing a toy, cleaning litter boxes or tanks, and walking to another room to feed and give water to a pet. Dogs are a favorite with seniors, but some dogs are too bouncy and strong to be a suitable pet for a senior citizen. If your parent really wants a dog, aim for a small, gentle dog that needs little grooming. Corgis can be energetic, but they don't usually want more than a walk around the block and some time inside fetching a ball. Daily brushings and periodic nail trims are all the grooming most corgis need. 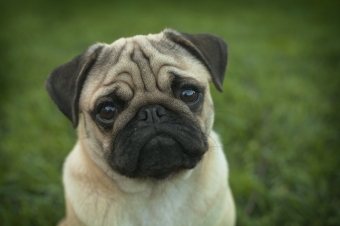 Pugs are another option. They don't require a ton of exercise or brushing. Rabbits are easily litter box trained, so they make great indoor pets. They are quite happy being petted and laying on a senior's lap. They will get their own exercise hopping around the house or going outside into a secure area in the yard. A big fish tank with dozens of fish may be too much, but a small tank with a solitary Betta fish is perfect. Betta fish are relatively hardy and do not do well when put into a group. They can be pretty aggressive and kill other fish sharing a tank. Care of a fish is limited to daily feedings and occasional tank cleanings. While your parent can't exactly play with a fish, it can be relaxing to watch the fish swimming around and to listen to the bubbling water. Before your parent gets a pet, it's important to discuss what happens to that pet if your mom or dad can no longer care for it. It's easy for a senior to assume a family member will give that pet a home. It may not be feasible if the animal doesn't adjust to a new home or the family members and pets within that home. Pet shelters may be too full to help out, which leaves the pet and family member stuck in a difficult situation. Consider hiring caregivers to provide companionship to your mom or dad. Caregivers can also help remind your parent to feed the pet, play with it, or take it for a walk. Call our home care agency to talk about reminder and companionship services for your aging parent.